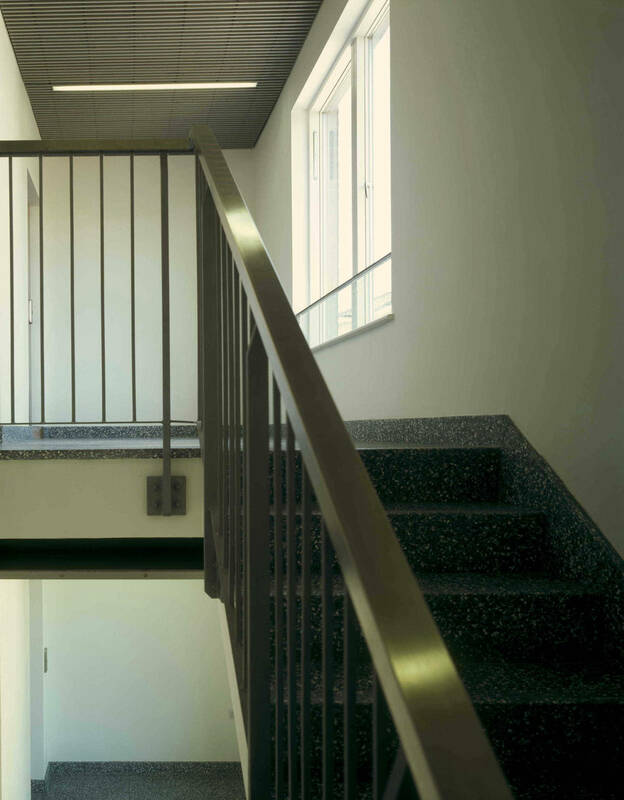 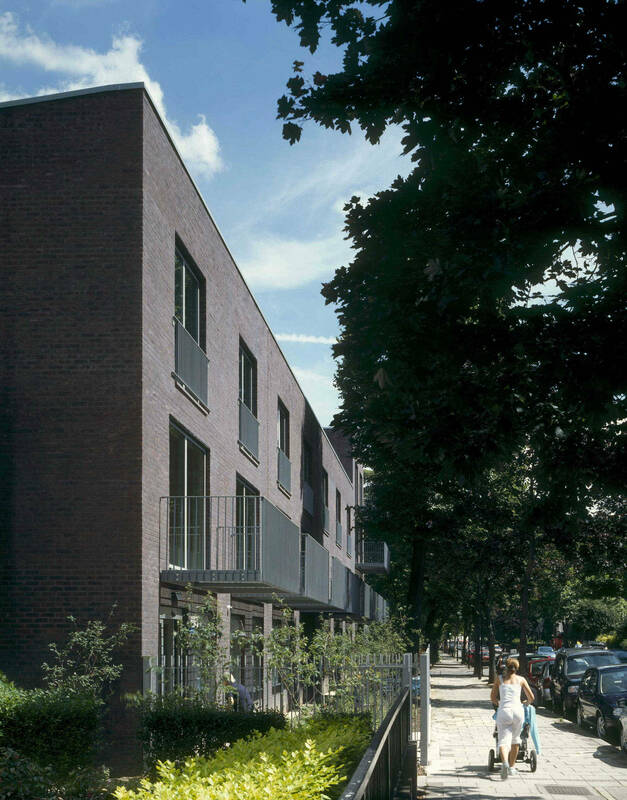 A joint development between developers Baylight and the Servite Housing Association, the scheme comprises 10 dwellings, 7 as maisonettes and 3 as apartments, above a purpose built medical centre. 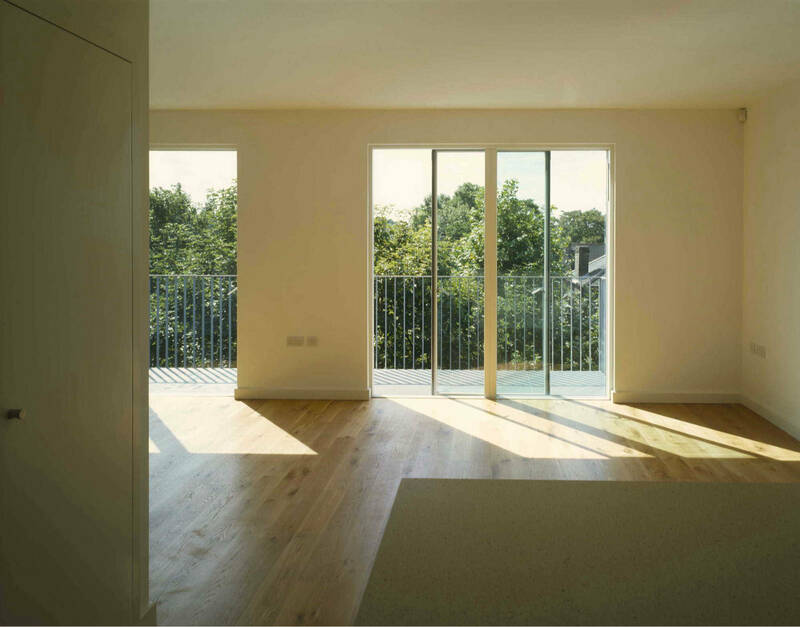 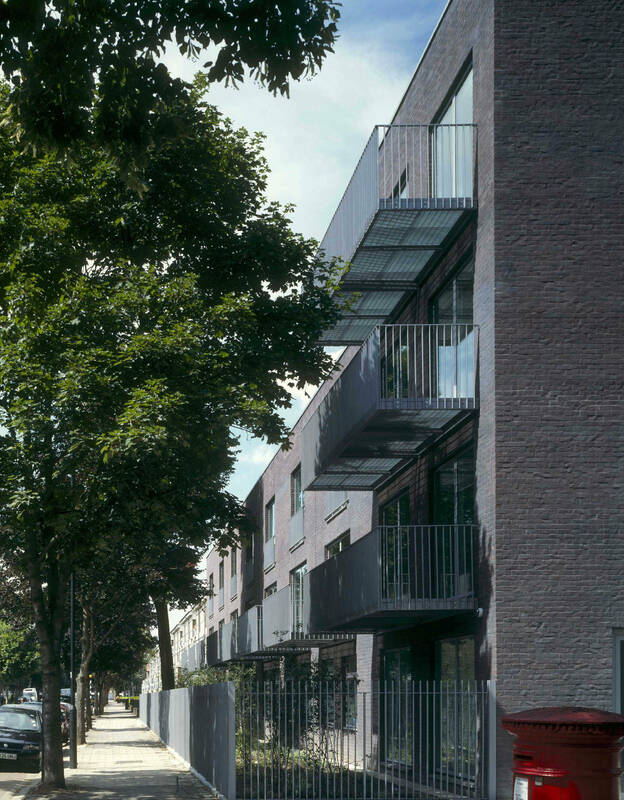 All dwellings have very generous balconies facing south onto the quiet, tree-lined street. 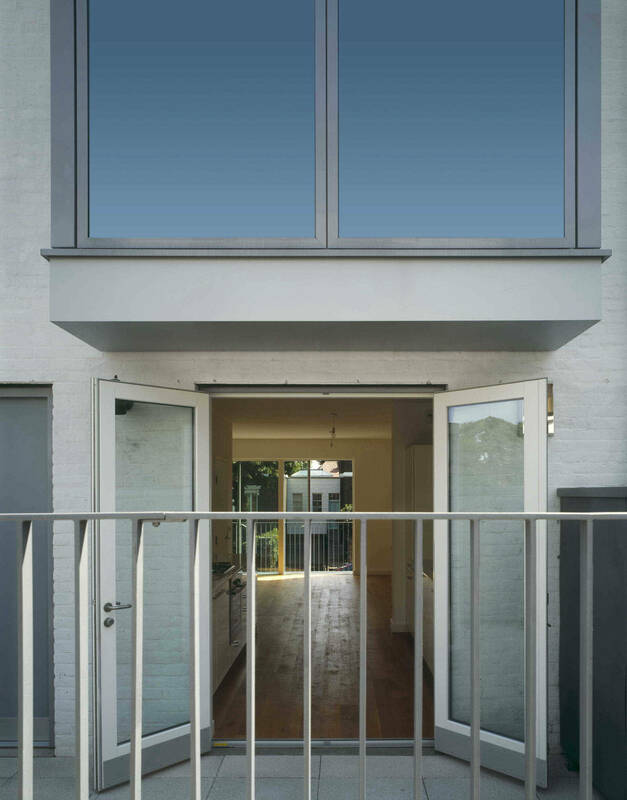 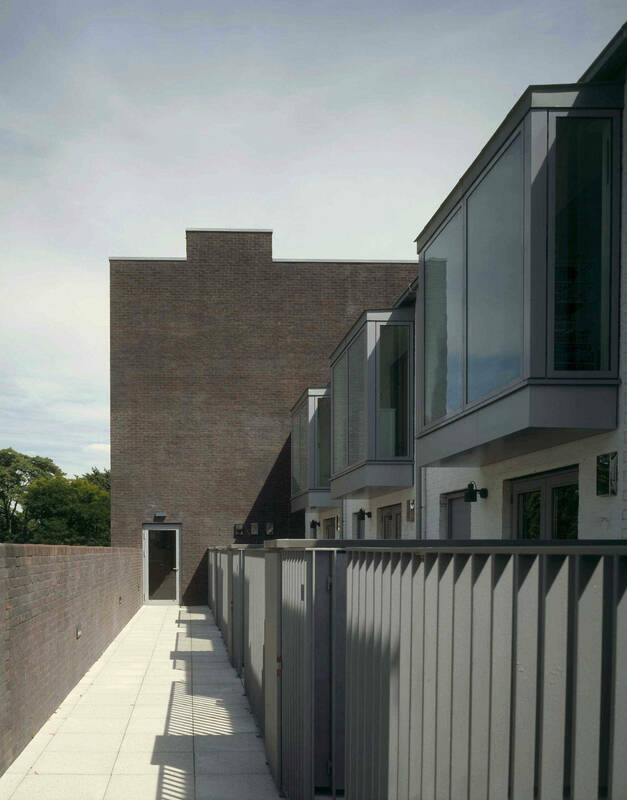 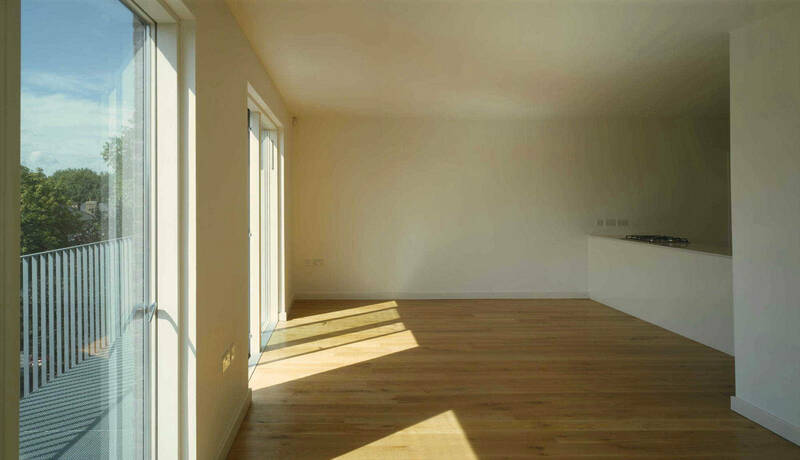 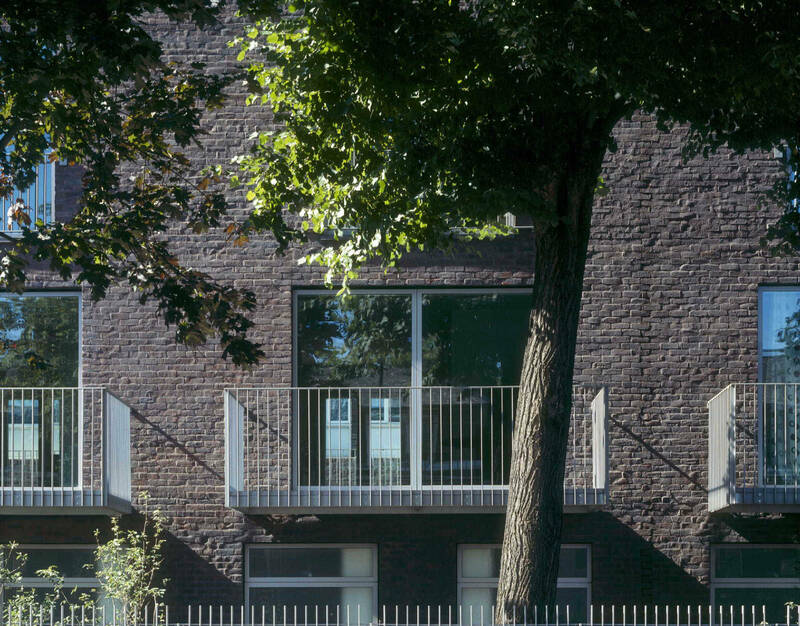 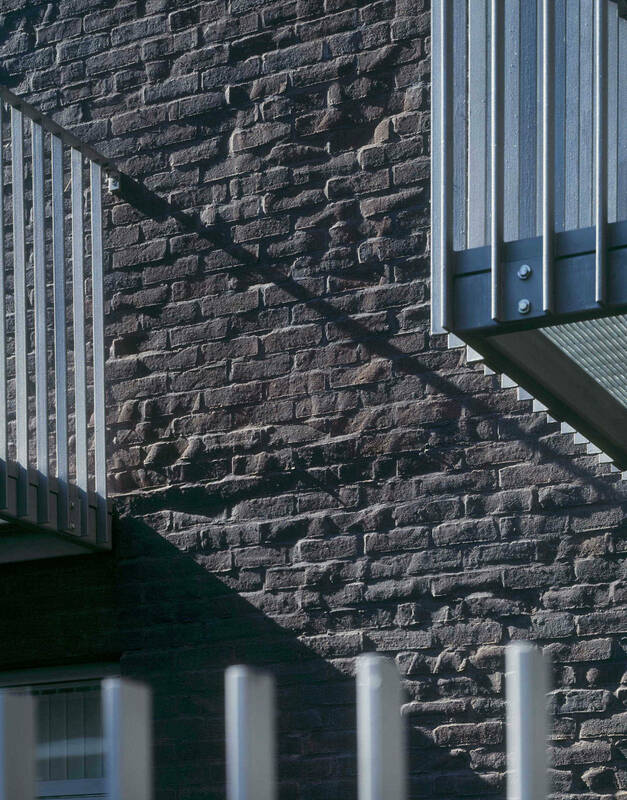 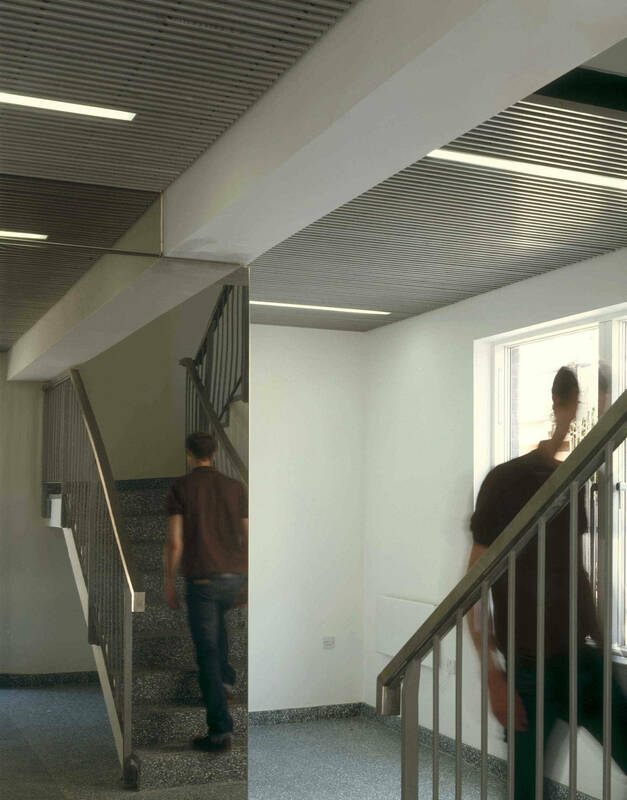 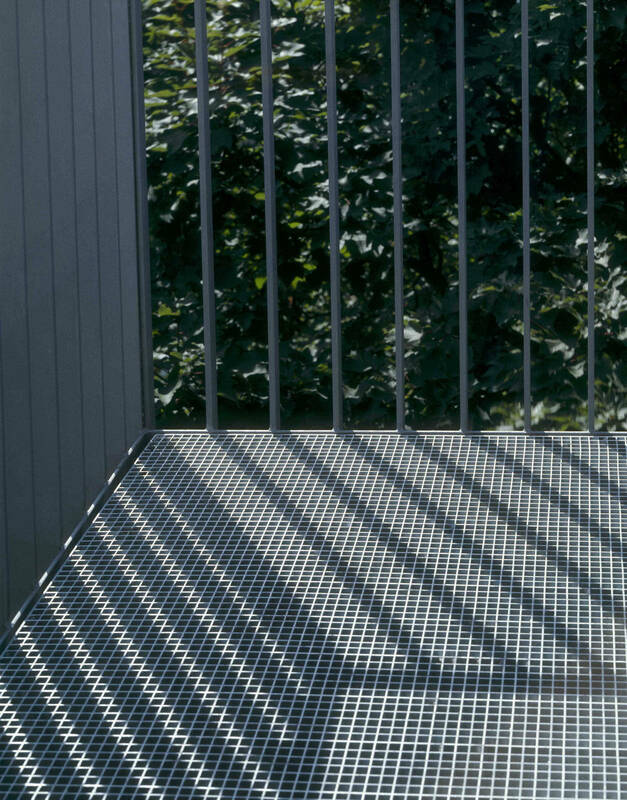 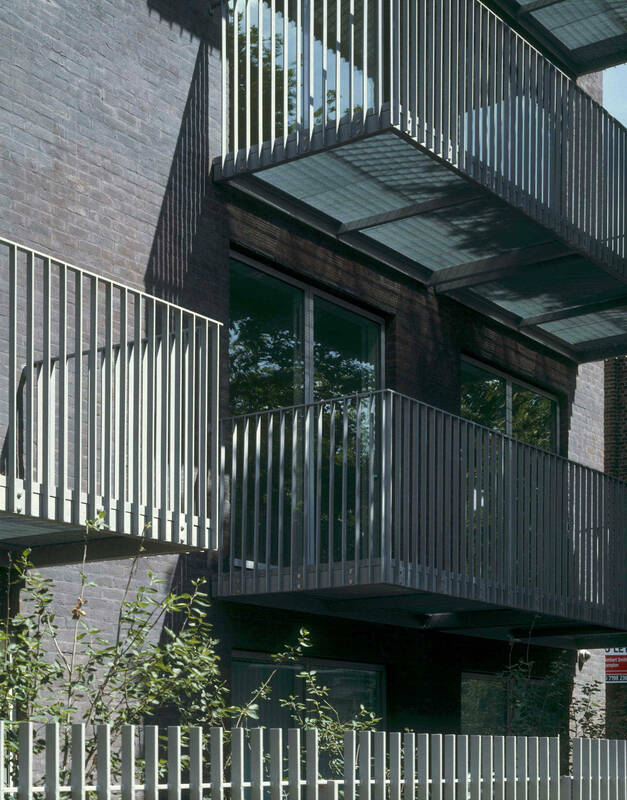 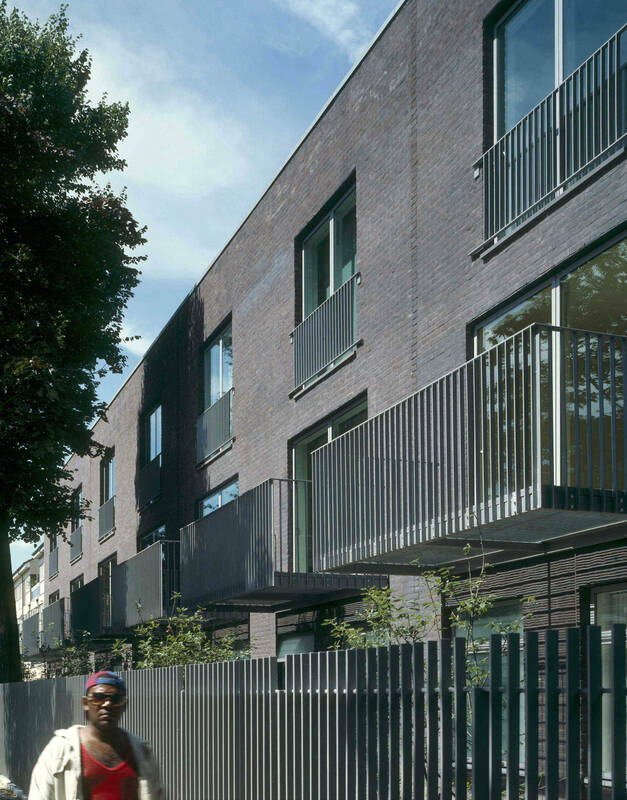 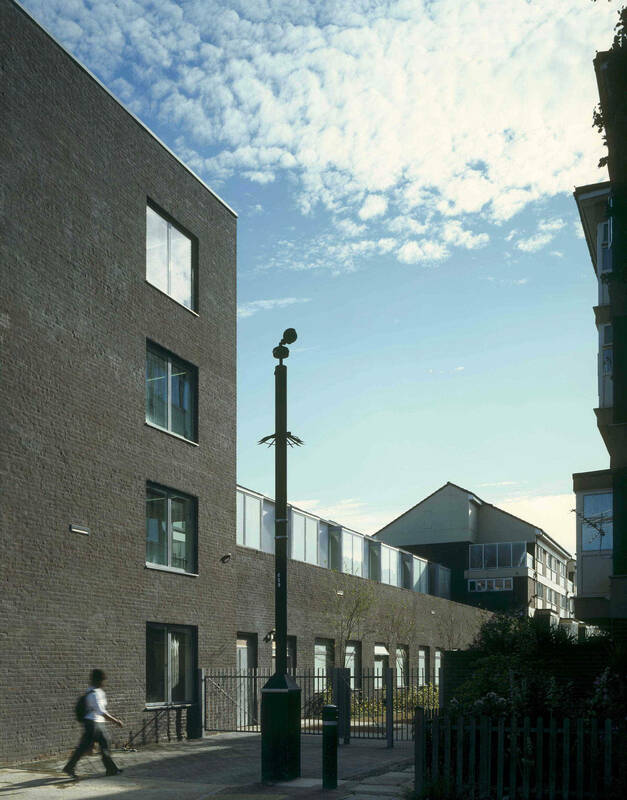 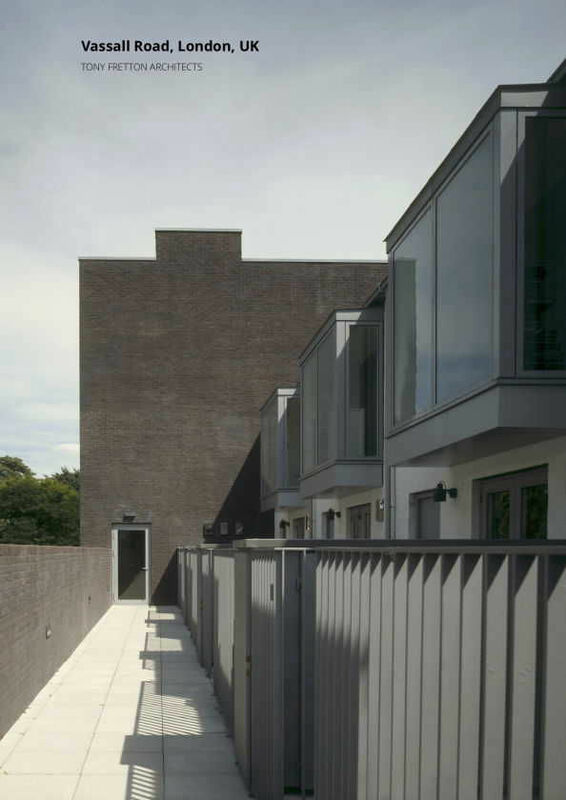 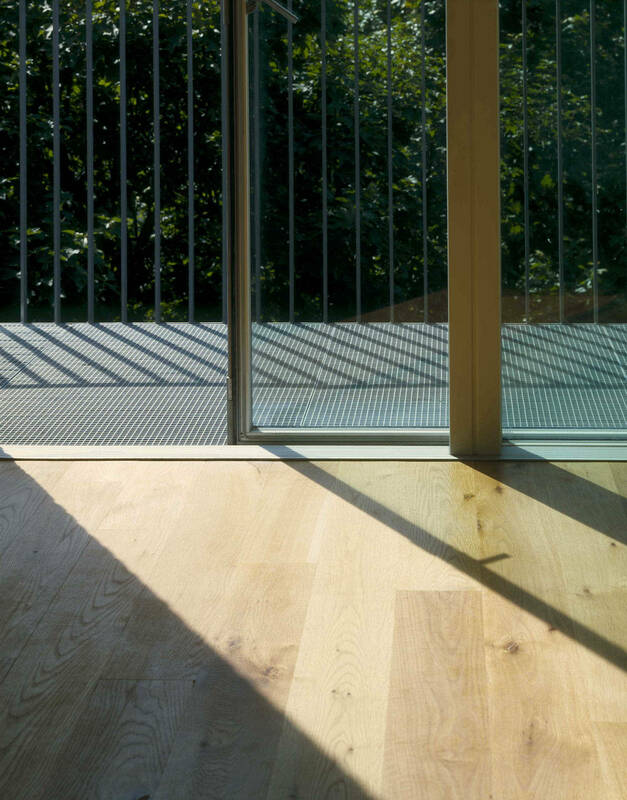 Maisonettes also have a courtyard on the north that receives east and west sunlight, and in a neighbourly way provides the entrance from a communal pathway and a place for outside dining and children to play. 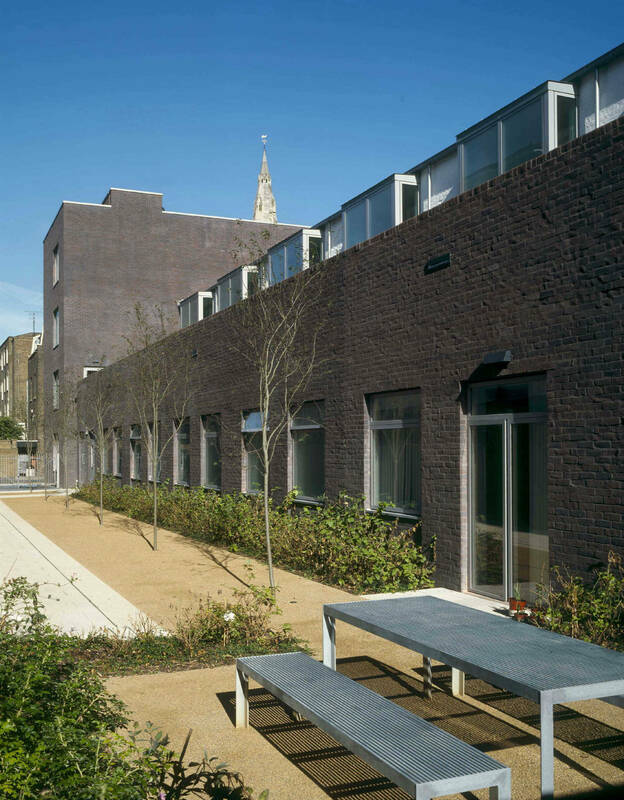 Facades are of brick that was lightly overpainted with black mineral paint so as to resemble the weathered brickwork of the neighbouring buildings. 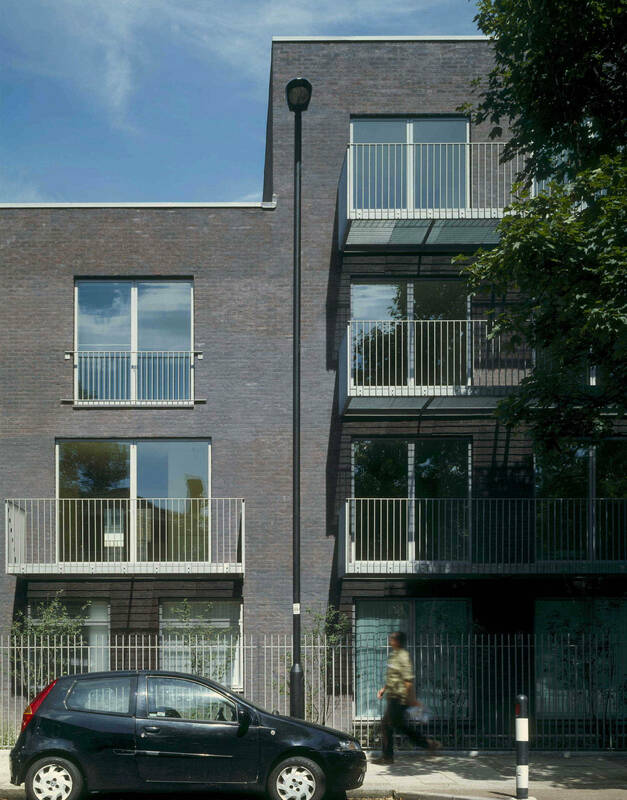 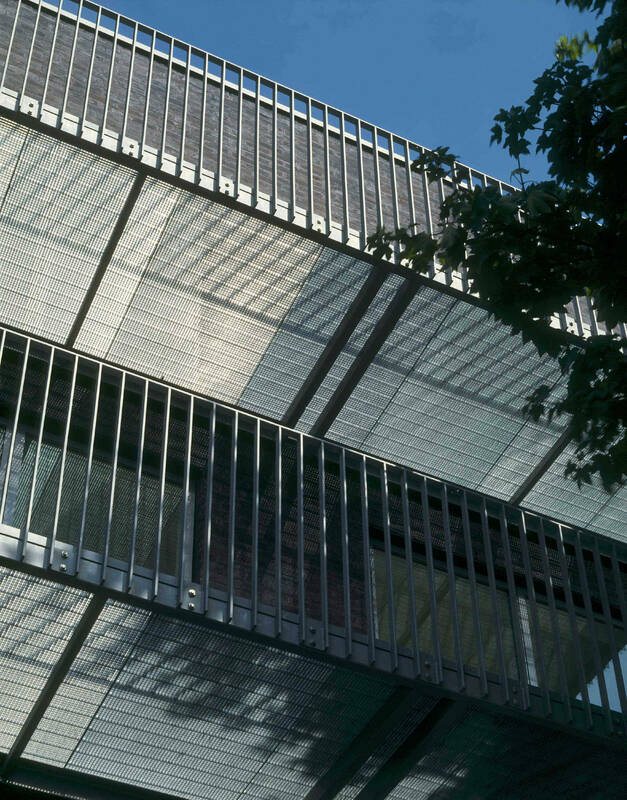 A residential development of mixed tenure, low carbon homes and a new medical centre.